My good friend and the man who is pioneer of Finnish surrealism in the 21st -century; Panu Hemminki! I saw Panu’s paintings a long time ago and those paintings encouraged me to realize that man can paint like that here and now! I didn’t know Panu, but several years later when he contacted me and asked if I would like to join some exhibitions I was overwhelmed of honour to be contacted by him. 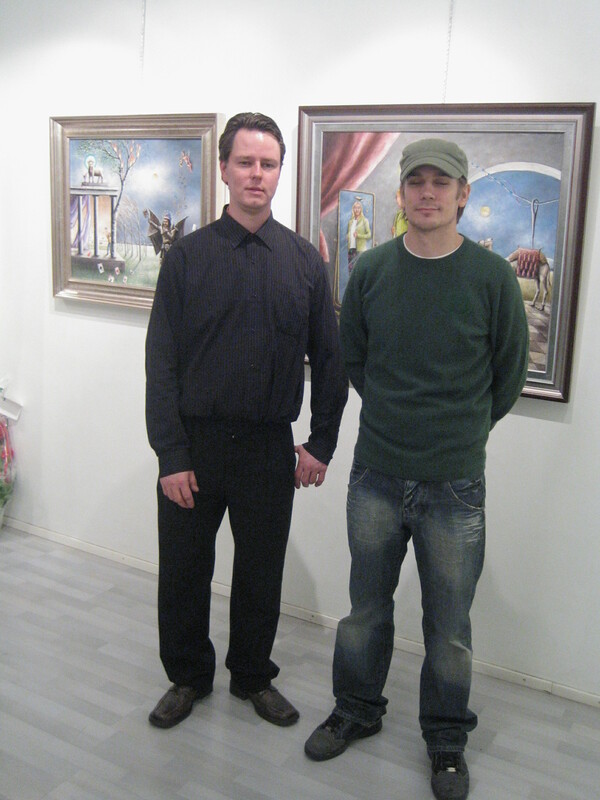 Since that we have worked together for several exhibitions.